My form shows that it has no submissions but if I click on my inbox they are both listed there and I can export them. They are also not showing up in Google Docs. Another issue -- when I complete the form I get nothing -- no message, no redirect, etc.. I've set my form to have the default Thank You message. I have checled the e-mail address and it is not on our bounce list. 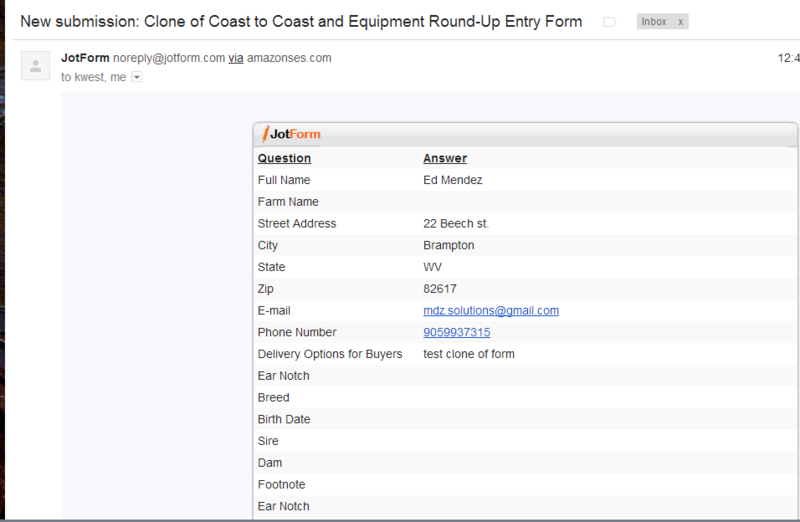 I have cloned your form and on the notification I added your e-mail address as well as mine. Please give that a try and let me know the results! I received the notification this time but it is NOT showing up in Google Docs or in my Jot submissions folder. Can you please try removing the current integration you made for your Google Docs and reintegrate it again?